A new survey among Hong Kong IT leaders reveals what they consider to be the solution to the city-state’s critical skills shortage within the technology sector. 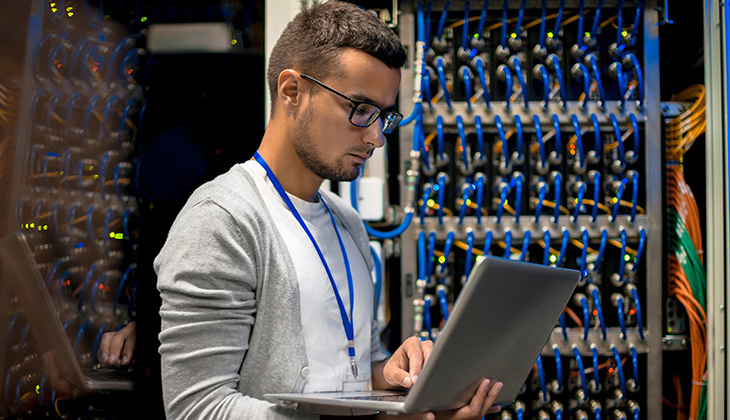 Independently commissioned by specialist recruiter Robert Half, the survey of 75 CIOs reveals one in four (25%) believe the number one factor that would alleviate the IT skills shortage is increased in-house training of existing IT staff. This is closely followed by 24% who think promoting IT as an attractive career path for Millennials and Generation Z professionals is the solution. Increased collaboration with education providers and universities is identified by 16% of CIOs and 15% believe increased collaboration initiatives from the business community will ease Hong Kong’s IT skills shortage. Just over one in 10 (11%) CIOs consider increased government initiatives to be the primary solution. The survey reveals the extent of the skills shortage impacting IT employers, as more than nine in 10 (92%) CIOs say it is challenging to source qualified IT professionals, while 88% say it is also challenging to attract them once found. Further emphasising the importance of staff development, the majority (95%) of CIOs surveyed also state IT professionals are more willing to resign if their company is unable to provide them with their requested training compared to three years ago, reinforcing how professional development is not only essential in filling apparent skills gaps, but also in retaining top performers. While professional development can take up a company’s resources, encouraging employees to train in relevant subjects and applications can have an immediate effect on productivity, raising overall staff expertise, which in turn can significantly boost innovation and potential profitability. Offering an extensive professional development and training program can help attract the most highly driven and career-focused candidates to a job opening, painting an enticing picture of how they can grow professionally or expand the career avenues available to them. Professional development helps build and maintain employee enthusiasm and—most importantly—it also has a positive effect on staff loyalty, which helps to reduce turnover and encourage staff to remain with the company long-term. Leadership development programs are tools for grooming future leaders in an organisation. Targeted training can help business leaders ensure outstanding employees are prepared to move up or be promoted to managerial positions in the future. Robert Half is a specialised recruitment consultancy. Founded in 1948, the company has more than 300 offices worldwide providing temporary and permanent recruitment solutions for accounting and finance, financial services and technology professionals in Hong Kong. Sign up for our free e-Newsletter now and get the latest recruitment information directly to your mailbox.